As I write this the death of Tony Benn has just been announced. Tony Benn, a British politician was very left wing in a world where there are few of them left, and yet, despite his politics putting him in the minority, he inspired genuine respect from across the political spectrum. People talk about him as being very polite and courteous to all he met. He exemplified one of my favourite quotes of all time: To thine own self be true. If all of us were to adopt those two traits just imagine how much better the world could be. He himself hoped his own epitaph would be “he encouraged us”. 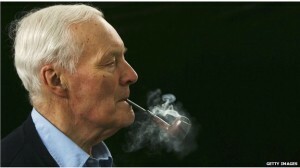 Tony Benn, you encouraged us. R.I.P.